Louise Moulton Hanson died on Sunday at age 99. Marriage brought Hanson to Santa Barbara County, where she began putting together what became a 14,000-acre ranch, starting in the late ’60s. Hanson was the daughter of legendary El Toro rancher Lewis Moulton, whose immense Rancho Niguel was parceled out as Orange County grew. For her own ranch, in early 2013, Hanson placed it under an agricultural conservation easement with the California Rangeland Trust, an act of generosity that preserves a Manhattan-sized open space in Gaviota. 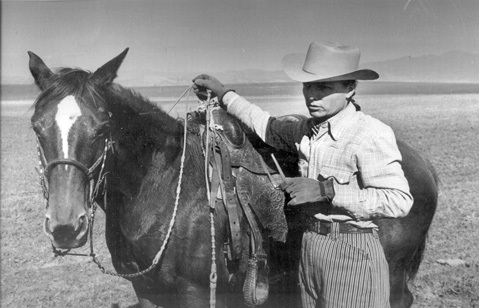 “I think almost all ranchers are actually part of the environment; we live along with the environment,” said Hanson in a 1994 California State University oral history interview. “I mean, that’s part of our life — to preserve it and take care of it and be a part of it.” A service will be held at Loper Funeral Chapel in Ballard on Monday, February 3, 1 p.m.